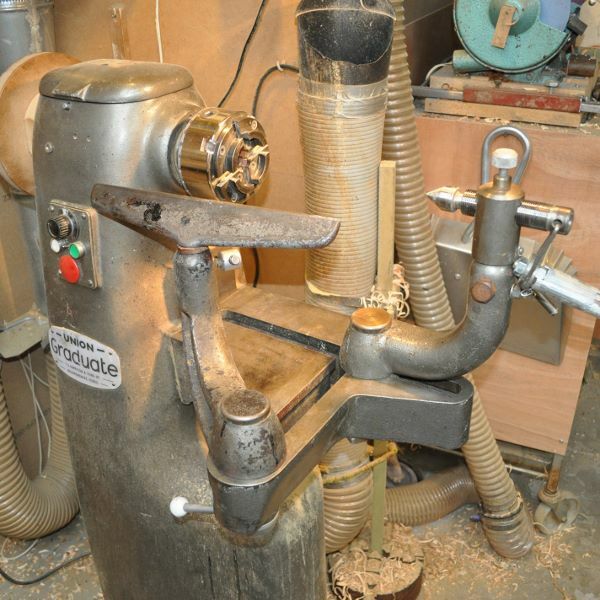 Home / Blog post categories / Tool reviews / Graduate lathe, a great machine for bowls, though not without faults. Next post: A ball cutting jig can be made from a machine slide. John, you can find parts on Ebay, or you can try LRE Machinery & Equipment. Enjoy your new lathe! Thanks Terry – I think the only way is the way I said and have to take it slowly – 1/8 turn at a time. I will get there – must learn to be patient . Many thanks Garry. Hello Garry. I did that job when I changed the motor on mine to a Variturn system but it was a long time ago and I don’t remember the details. I think it was easier with the access door removed. Disconnect the wiring and take off the drive belt. Then obviously you have to get the spanner to the bolts. Maybe you do have to lay the machine on its side, not sure if I did that or not. Is it possible to take out the motor still fixed to its platform? I no longer have the lathe so can’t check.